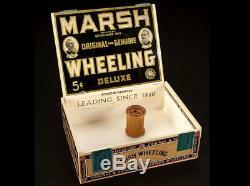 JINGLES HERO CIGAR BOX & SPOOL. The Green Mile (1999) Michael Jeter's (Eduard Delacroix) Mr. Jingles Hero Cigar Box & Spool From the Collection of Director Frank Darabont W/LOA - This adorable piece of movie memorabilia was used during the filming of the 1999 film The Green Mile, based on the 1996 Stephen King novel of the same name. 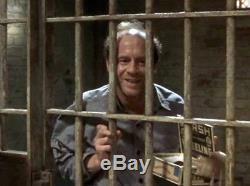 This hero cigar box and spool were used by death row inmate "Eduard Delacroix", portrayed by Michael Jeter. 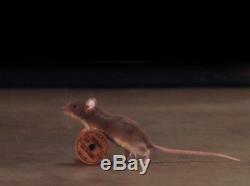 The lot includes a wooden thread spindle which is visible being rolled by the resurrected mouse Mr. Jingles in the jail cell, and prop March Wheeling cigar box which was the mouse's home. The box is one of three Mr. Jingles cigar boxes used in the film, all of which served a different technical purpose. This one was crafted to appear the least aged. 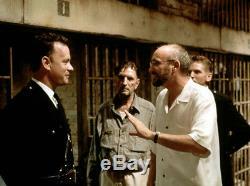 The box measures 7.5" x 5.5" x 2.5, and was obtained from the personal collection of the film's director Frank Darabont. This piece was featured on the television show Hollywood Treasures on Season 1, Episode 23 titled "The Zombie and the Rocketeer", which aired on 7/6/2011. Item is in fine screen used condition. 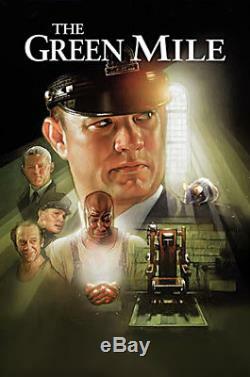 "The Green Mile" is told in a flashback narrated by Paul Edgecomb. To his friend Elaine Connelly. Edgecomb is now living in an old-age home some six decades after working as the head guard on Death Row at Cold Mountain Penitentiary. Edgecomb's tour of duty at Cold Mountain in the Depression-era South included watch over a quartet of killers awaiting their final walk down "the Green Mile, " the stretch of green linoleum flooring that took convicts from their jail cells to the electric chair. Over the years, Edgecomb walked the mile with a variety of cons. He had never before encountered someone like John Coffey, a massive black man convicted of brutally killing a pair of nine-year-old sisters. Coffey certainly had the size and strength to kill anyone, but his demeanor starkly contrasted with his appearance. Beyond his simple, naive nature and a deathly fear of the dark, Coffey seemed to possess a prodigious, supernatural gift. Edgecomb began to question whether Coffey was truly guilty of murdering the two girls. As the story unfolds, Paul Edgecomb learns that, sometimes, miracles happen in the most unexpected places. I will do my best to arrange personal viewings. Detailed photos of the items available upon request. Have a continued opportunity to visit it if it does not sell. Please contact me directly with any offers regarding this. Jingles THE GREEN MILE hero screen used cigar box and spool" is in sale since Tuesday, September 11, 2018. This item is in the category "Entertainment Memorabilia\Movie Memorabilia\Props\Originals". 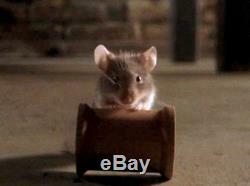 The seller is "emmettsauction" and is located in Los Angeles, California. This item can be shipped to United States.